This recipe for peach salsa is the ultimate summer condiment. Juicy ripe peaches, herbs, and a bit of jalapeno creates a sweet and spicy salsa that’s perfect with chips, on fish or chicken, or even on a sandwich! I’m a huge fan of fruit salsa, whether it’s a dessert style salsa or a sweet and savory tropical pineapple salsa. This peach salsa is the best way to showcase summer fruit! When the stores are loaded with summer produce like melon, berries and peaches, I buy as much as possible and try to make the most of it! 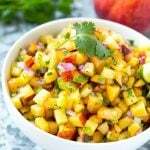 This peach salsa is a fun way to add fresh fruit to the dinner table. You can serve it up in so many different ways and it’s always a big hit. How do you choose fresh peaches? For this recipe, you’ll want to choose peaches that are on the firmer side so that they don’t get mushy in the salsa. Look for peaches that smell fragrant and have a slight give to them when you gently squeeze them. 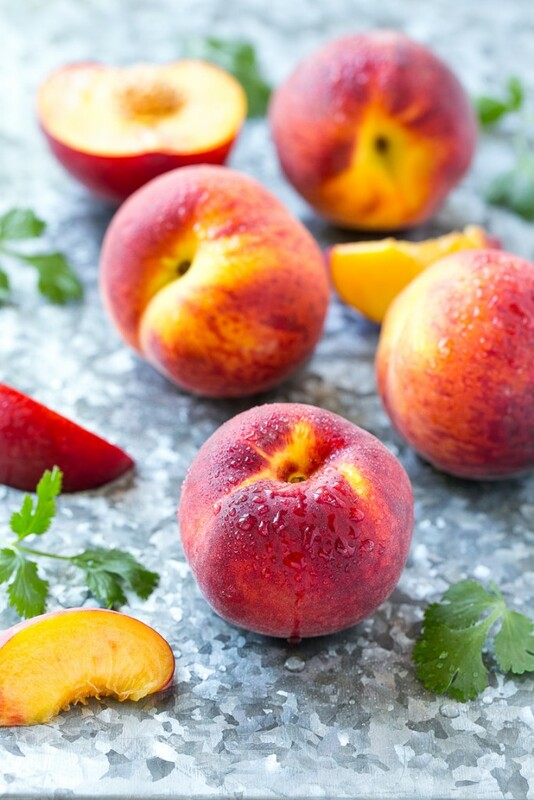 You can use yellow or white peaches for your salsa, whichever one you prefer! How do you make peach salsa? I used the ingredients I had on hand to create this easy yet delicious peach salsa. The recipe is simply ripe peaches, a little red onion and jalapeno, lime juice and cilantro. I love how versatile this peach salsa is – serve it as a dip with chips, on grilled chicken or fish, or even in a salad. I recently made a grilled chicken salad and topped it with this salsa, black beans and avocado for an amazing meal. Be sure to cut your peaches into a fine dice so that they can easily be scooped up on a chip. This salsa is on the mild side as the seeds and ribs are removed from the jalapeno. If you prefer a spicy salsa, you can leave some of the ribs and seeds in the pepper. 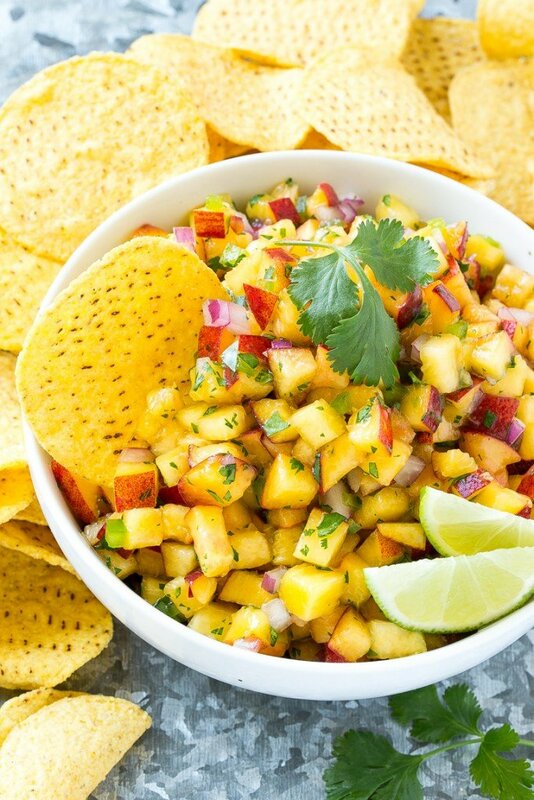 You can add other fruit to this salsa such as mango, strawberries or pineapple. I’m declaring this peach salsa the ultimate summer condiment – it’s quick, fresh, simple to make and packs tons of flavor. Enjoy it as an appetizer or as part of your main meal, and watch the rave reviews come in! This recipe for peach salsa is the ultimate summer condiment. 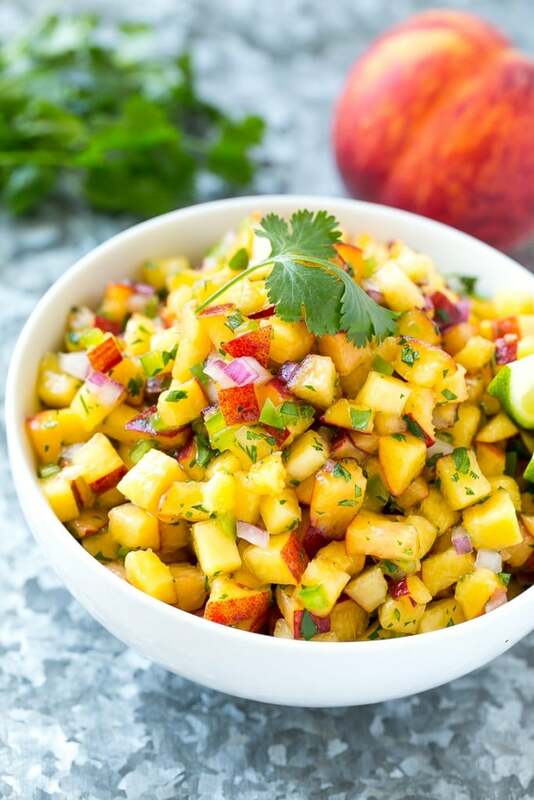 Juicy ripe peaches, herbs, and a bit of jalapeno creates a sweet and spicy salsa that's perfect with chips, on fish or chicken, or even on a sandwich! Place all of the ingredients in a bowl and stir to combine. Cover the bowl and refrigerate for at least 30 minutes or up to 1 day. Serve with chips or use as a condiment for chicken or fish. This is a sponsored conversation written by me on behalf of PEOPLE®, Real Simple®, InStyle®, CookingLight® and Sunset®. The opinions and text are all mine. Refreshing and yummy to pair with almost any meat! Beautiful! And it’s so versatile with chicken and fish. I’d love it on pork. Can’t wait to try it. And I have to pick up the magazine, too! To me, there’s nothing that screams “summer” like the taste of peaches and this beautiful salsa looks like the perfect way to celebrate the season! Beautiful pictures of peaches! I’m inspired now to try something new also! 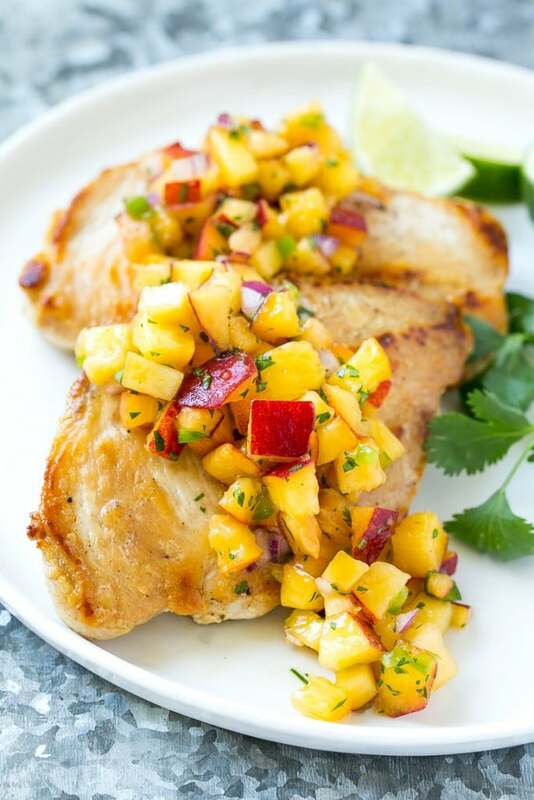 I love peach salsa with pork and just about anything else! 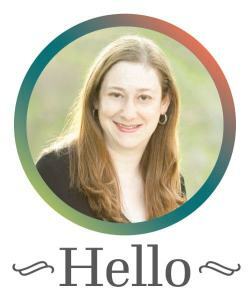 This is a beautiful bowl Sara – I love my Cooking Light magazine! Beautiful looking salsa! That salsa would be great on grilled chicken! Great idea to get inspiration from Cooking Light. I’m not generally into food magazines, but I like Cooking Light. Peaches are so awesome. They’re perfect for salsa, and I love making BBQ sauce with them as well. Nice and sweet, but not overly so.